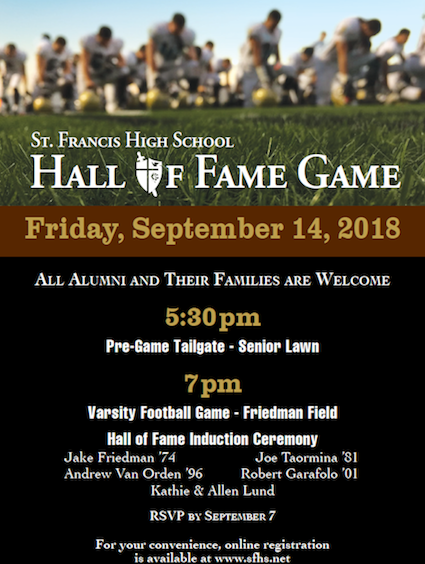 All are welcome to attend as we celebrate, with pride, our Alma Mater! Come see the Golden Knights in action Friday Knight! 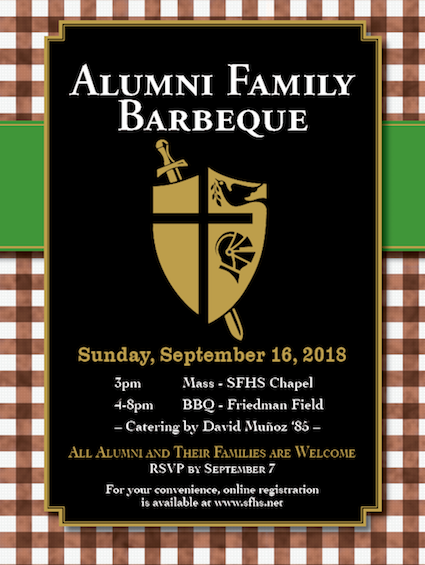 Bring your family to the Sunday BBQ and activities (mass will be included).